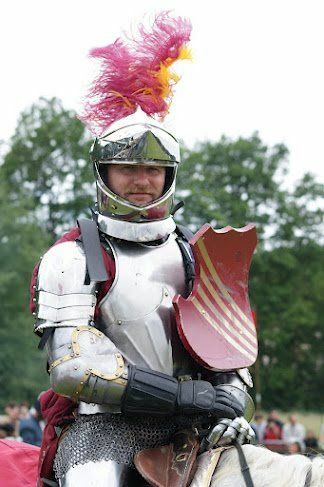 The "Lysts on the Great Lakes" invitational jousting tournament will take place August 10 and 11 at the Wayne County Fairgrounds in Belleville, Michigan, USA. This event is affiliated with a'Plaisance Ltd, the producer of the largest contemporary competitive jousting tournaments in the world, and is sanctioned by both the International Jousting Association and International Jousting League. 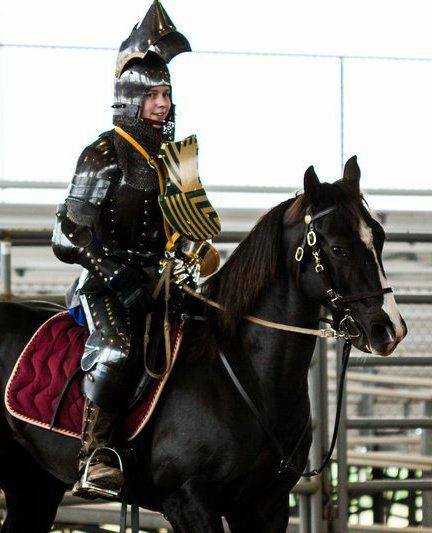 This tournament will be run as both a team and an individual event, and will include both mounted skill at arms(MSA) as well as jousting competitions. 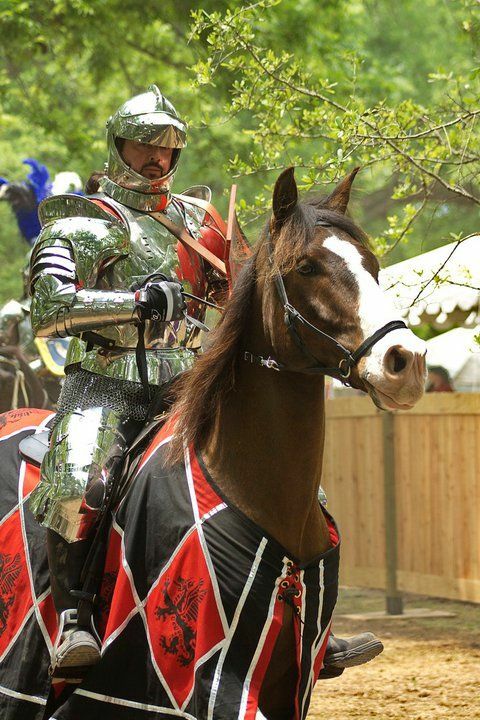 The jousting competitions will occur at 4pm on Friday and Saturday, and the MSA will begin at 1pm on Saturday. There will be a public meet and greet on Thursday, August 9, at 4pm during the practice session for all the competitors . The teams portion of the event will consists of the Knights of Iron Jousting Team vs the North American International Jousters Team. Jordan Heron has always been fascinated with things medieval, and his involvement in historical re-creation goes back well over three decades. 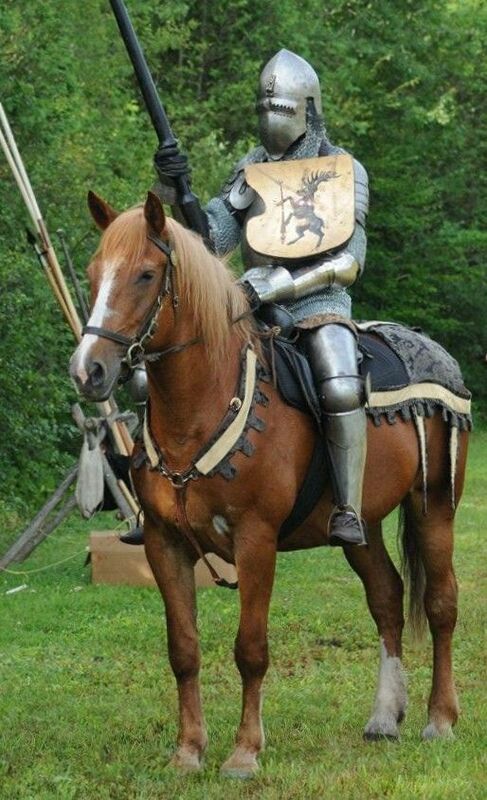 Although interested in horses from a young age, Jordan was city born and raised, so he didn't learn to ride until relatively late in life, when he rashly bought a horse and quickly moved from pleasure riding to medieval gaming. Jordan's first joust tournament was in 2003. Since that time he has competed in seven countries on three continents. Jordan is a certified Project Manager by career, and his partner, Dr. Stephanie Campbell, is an anatomy professor and student veterinarian and they live in Dunnville, Ontario, Canada. Together they own Cricket Lane Farm, home to their equestrian activities: gaming, jousting, mounted archery, riding to hounds, quarter horse racing and, just lately, Cowboy Action Shooting. 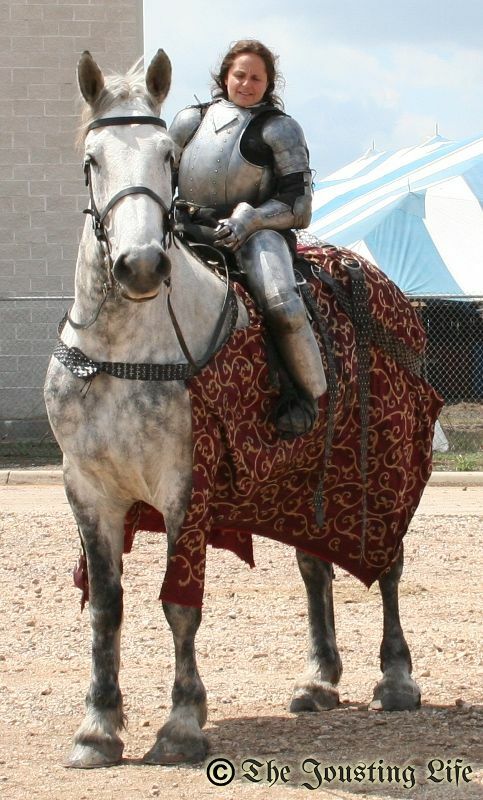 Dale Gienow is the founding president of the International Jousting Association – Canada. 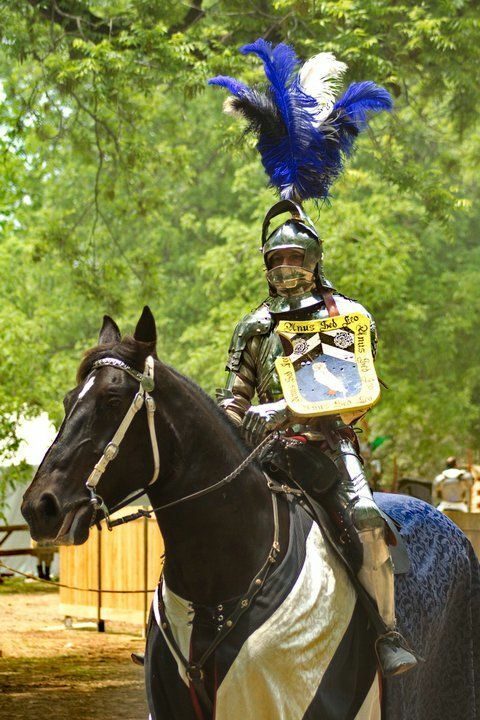 He has been jousting since 2004 and has run many tournaments in Canada. Dale enjoys many other medieval pursuits, including archery and the ancient art of falconry. 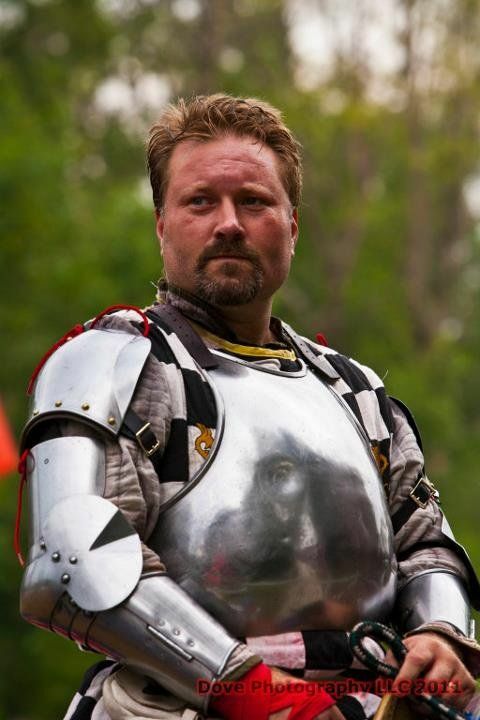 He is a founding member of the Mounted Archery Association of the Americas and a Mounted Martial Instructor for the Academy of European Medieval Martial Arts. Dale lives with his son in Bracebridge, Ontario, where he owns the Muskoka Wildlife Centre and co-directs Chivalric Productions, a medieval education company. In an interesting twist, during the MSA competition, the experienced jousters will act as ground crew for the less experienced squires and novices first. Then later, things will go back to normal with the experienced jousters competing while the squires and novices act as the -- so very essential -- ground crew. During the MSA, the jousters will compete wearing jerseys in the colors of their livery with their name on the back. These jerseys will be provided by the tournament. There will be no points awarded for unhorsings. Throughout the tournament, broken lance tips will be available in exchange for a donation to The Fallen and Wounded Soldiers Fund, which assists wounded veterans in the Michigan area. For updated information on this tournament, check out the "Lysts on the Great Lakes" Facebook event page.